One-fifth of German trucks is unused. We simply cannot get more drivers – admits Sebastian Lechner, board member of the Federal Shipper’s Union in the interview for Bayerischer Rundfunk. There are many reasons for the lack of drivers in Germany – low pay, stress and time pressure. In the next 15 years two-thirds of drivers will retire” – says Markus Olligschläger from the DSLV association. In turn, as reported by Bayerischer Rundfunk each year only 2 thousand people receive the qualifications to become truckers. Why is there no interest in the driver profession? The lack of staff in transport in Germany, as in other European countries, results from the low attractiveness of the profession. This, in turn, is caused by the bad image of the driver, high costs of receiving the qualifications, relatively low wages (on average, about 2,400 euro per year) and work-related charges. The latter include constant stress, time pressure, separation from family and legal uncertainty (more and more restrictive EU and national regulations). In Germany, in addition to personnel shortages in the transport industry, the abolition of military service obligations contributed to the current situation. Conscripts who went to a civilian from the Bundeswehr often already had the license in their pockets. The German army trained about 15 thousand truck drivers annually. German transport organizations warn about the dramatic consequences of the lack of staff in the industry. If the lack of staff continues to deepen and young people cannot be mobilized to transport, serious supply problems can be expected” – says Mathias Krage, head of the DSLV union. The bottlenecks in German logistics affect other sectors of the economy, i.e. construction industry and FMCG (fast moving goods). The growing lack of staff in transport is the reason for the difficult situation of supermarkets and discounters, as well as forwarding companies, which are increasingly difficult to meet delivery deadlines. On the other hand, delays in the supply of building materials contribute to the length of road works and, as a result, traffic jams. Staff shortages in the transport industry are most obvious on roads under contruction. Forwarding companies often cannot meet the deadlines due to lack of drivers. If there is no material on the construction site, the work lengthens. This problem concerns not only the construction, but the entire economy. Up to 20 percent of trucks are at a standstill because there are no drivers – summarizes Sebastian Lechner from the Federal Shipper’s Union. – We are all here in a difficult situation, we are in trouble. Customers are left in the lurch because there is no one to handle their orders. And shipping companies are worried because they can meet the needs of only some customers – adds Lechner. Lack of drivers means unimaginable bottlenecks on the market. We ask customers to wait, we postpone the orders” – says the forwarder. Michael is looking for employees also abroad. 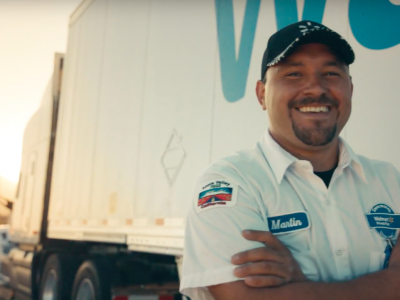 In social media, he encourages young people to become drivers and start their career behind the truck wheel. However, this is still not enough. Drivers from abroad and refugees a hope for Germany? At the end of 2016, the number of professional truck drivers subject to social insurance in Germany amounted to 555.5 thousand drivers. 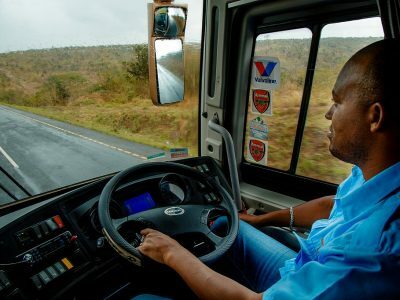 According to transport organizations, it is estimated at around 45 thousand trained truckers would meet the needs of the market. Nevertheless, the percentage of trucks that are at a standstill in Germany would indicate a deficit more than twice as high. Due to the lack of interest in the profession in the country, Germany is more and more willing to employ foreign drivers. „Even those who do not speak the language will do.” In 2016, the share of foreign truckers employed in Germany reached the highest level in history – 15.5 percent according to data of the Federal Employment Agency. They came mainly from the Eastern EU countries. The controversial initiative of the transport union from Schleswig-Holstein (UVL) „Driving in Your New Future” can be a sign of the industry’s desperation caused by the lack of people willing to work behind the wheel. Together with the German Red Cross, UVL wants to make it easier for immigrants to take the first step towards a truck driver’s career. 25 forwarding agents from the region joined the initiative, and in just a few days, 90 refugees from the State came forward. Another 50 have signed up for the waiting list – admits in an interview for „Kieler Nachrichten” Ilka Hübner, program initiator and head of the integration department of the Red Cross in Kiel. According to her, the recruitment was successful. 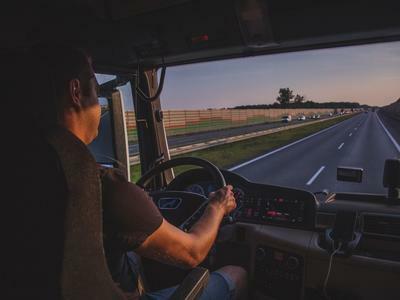 According to Marcin Wolak from the TransJobs.eu recruitment platform, without raising the salary of drivers, increasing the number of truckers will not be possible. On our platform, we observe what is happening in the labor market in the transport industry. If wages do not start to grow, then there is no reason to count on miracles. Without salary growth, drivers will not come, especially with the current record low unemployment” – says Marcin Wolak. – Of course, in the end, it will affect the entire economy, because increases in driver’s wages will generate bigger transport costs. Therefore, shippers must accept higher rates that will allow raising wages in the industry – he predicts.